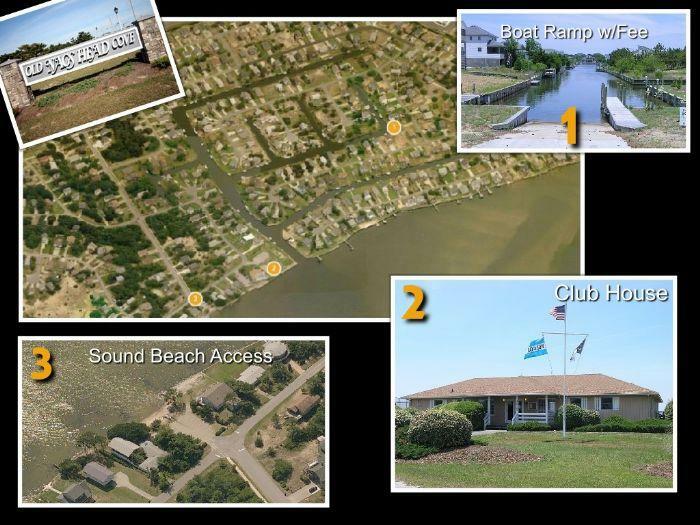 419, Key, is a Nags Head Sound Front Rental Home that features amazing water views, gorgeous sunsets, and close proximity to the ocean. With a private pier, guests can enjoy immediate access to the Albamarle Sound (water way between the islands and mainland), which is often used by water sports enthusiasts due to the shallow waters and optimal conditions. The back deck also provides tranquil opportunities to enjoy morning coffees to water views while nestled in the hammock chair, or take advantage of the on-deck picnic furniture for a grilled meal (grills also provided) while watching the sunset. 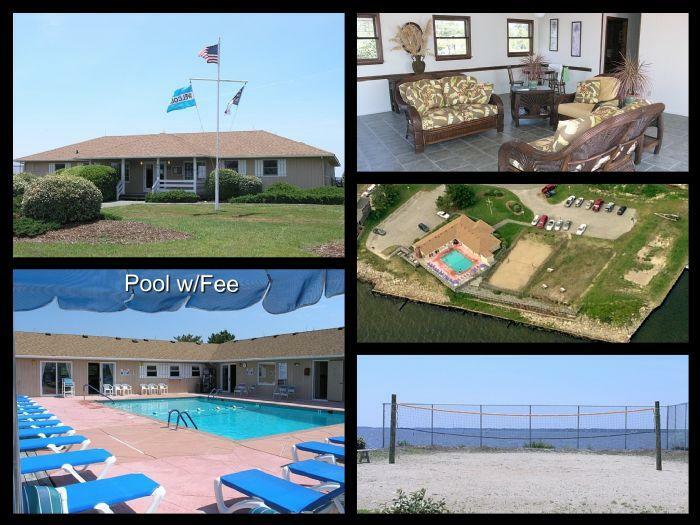 This Outer Banks rental home is ideal for a variety of family sizes, as it offers a spacious great room with a well stocked kitchen and many seating arrangements, along with four accommodating bedrooms (each featuring a Smart TV to log-in to favorite streaming sites). This Old Nags Head Cove Rental home also features a wealth of amenities, including WiFi, and this quiet community also has access to a volleyball court, basketball, clubhouse, boat ramp and community pool (with fee). With shopping, dining, historic sites, and ocean access only being a very short drive away, this well appointed rental home will keep you coming back year after year. "Took my daughter and her friends down for a week of relaxation and sun. Plenty of room for everyone and a big open floor plan where everyone was able to gather and enjoy time together. The deck is fabulous, and the sunsets were gorgeous. Great location, close to places to eat and attractions. We will definitely be back! " "We love staying here because of the beautiful sound front views. It is located on a quiet cul-de-sac, but convenient to many local restaurants and shops. It is also just a short drive to the beach. Highly recommend!!!!" "Best sunsets in OBX! Beautifully furnished with brand new carpet. 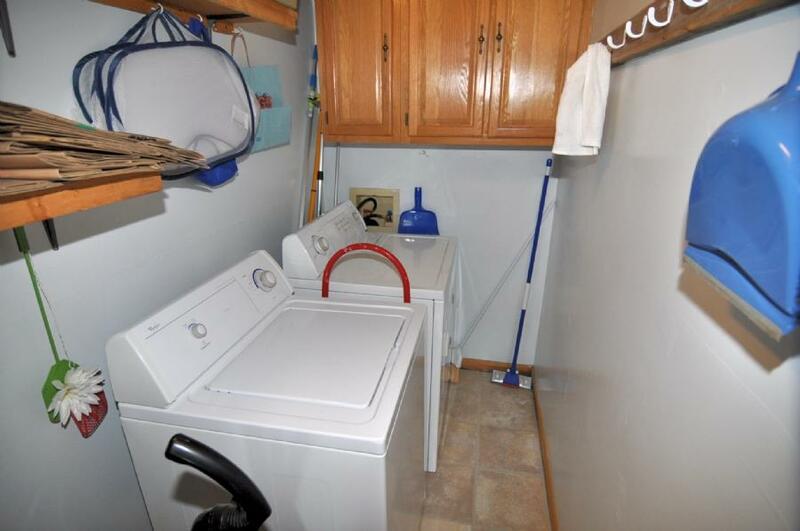 Bathrooms were newly updated and kitchen was fully stocked with everything you need! We had a wonderful week and will definitely be back. "